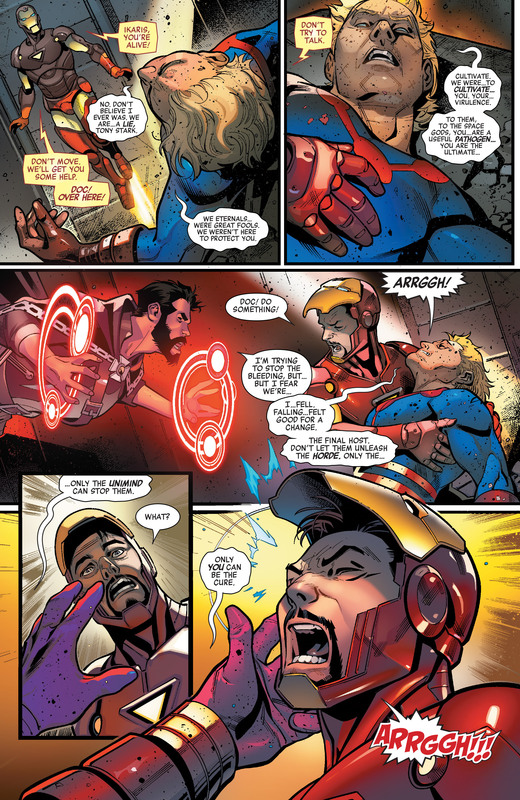 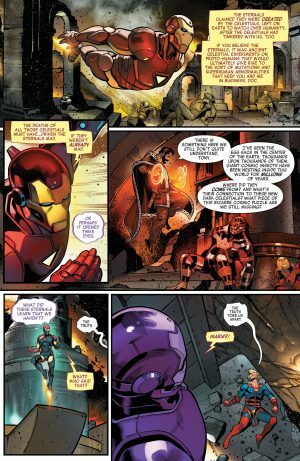 Marvel Comics Universe and Avengers #4 Spoilers follow. 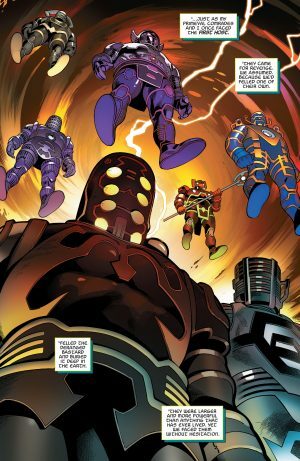 The Eternals Are A Lie and What Kind Of (Dark) Celestials Mess Did The Avengers 1,000,000 BC Cause For The Modern Era Fresh Start Avengers? 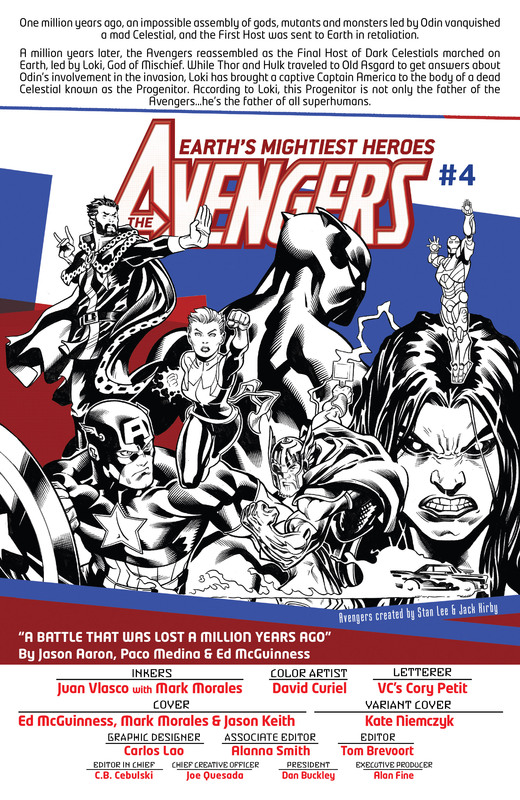 Avengers #4 opens with a story catch-up blurb on a creators credits page. 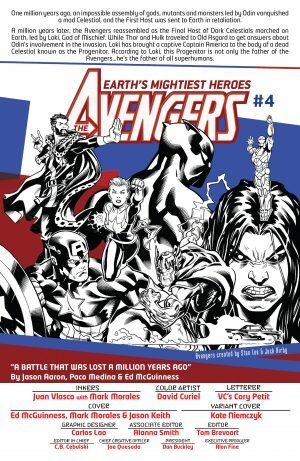 We then get into story that starts in the past with the Avengers 1,000,000 BC roll call as they battled the Dark Celestials. Now, this arc is the first th world have heard of Dark Celestials, but Celestials have been around Marvel for several decades. 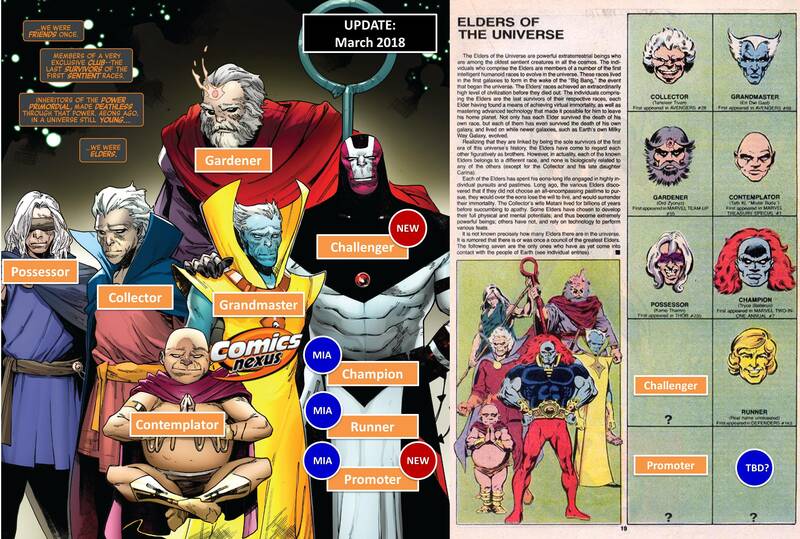 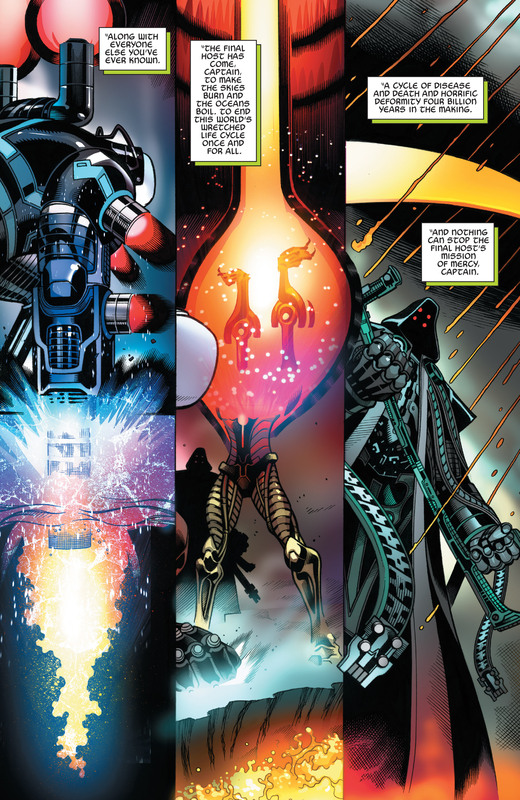 The Celestials created the Eteranals who have around for decades as well. 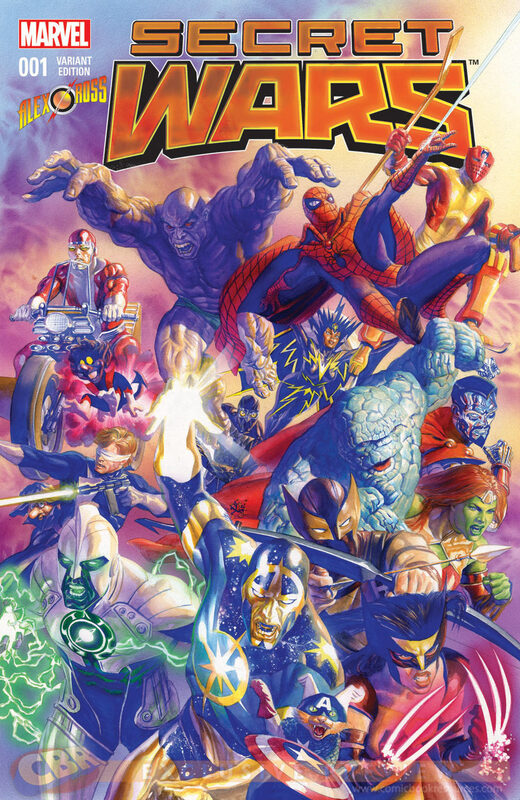 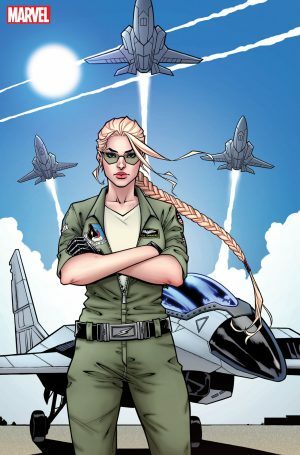 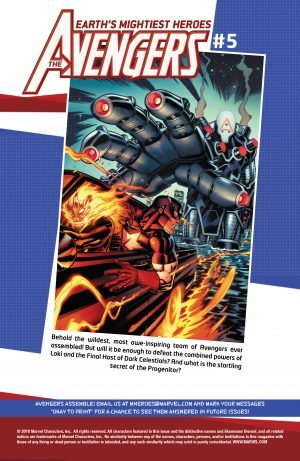 Neither should be confused with Marvel’s Elders who were prominent in the Avengers No Surrender weekly maxi-series that led to this fresh start new Avengers ongoing series. 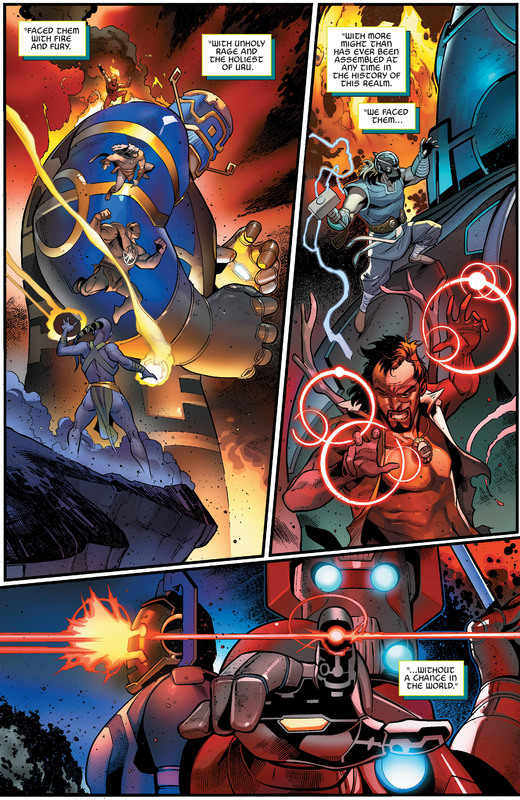 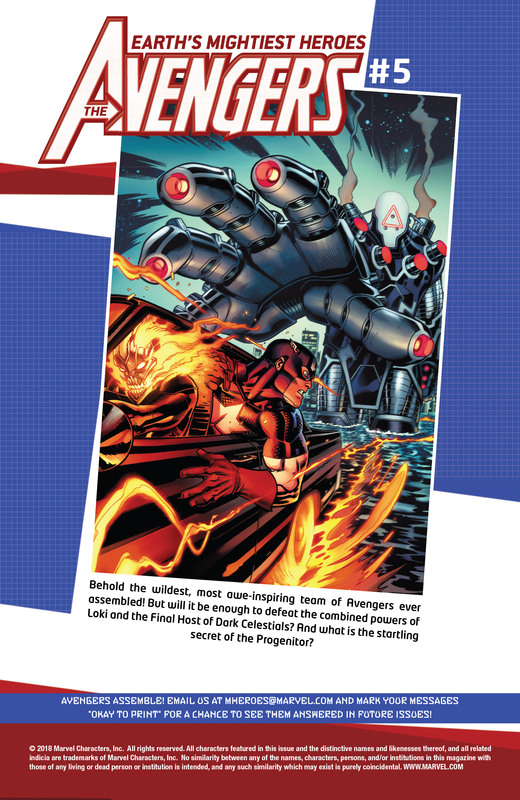 Who are what the Dark Celestials are is to be revealed in this opening Avengers arc. 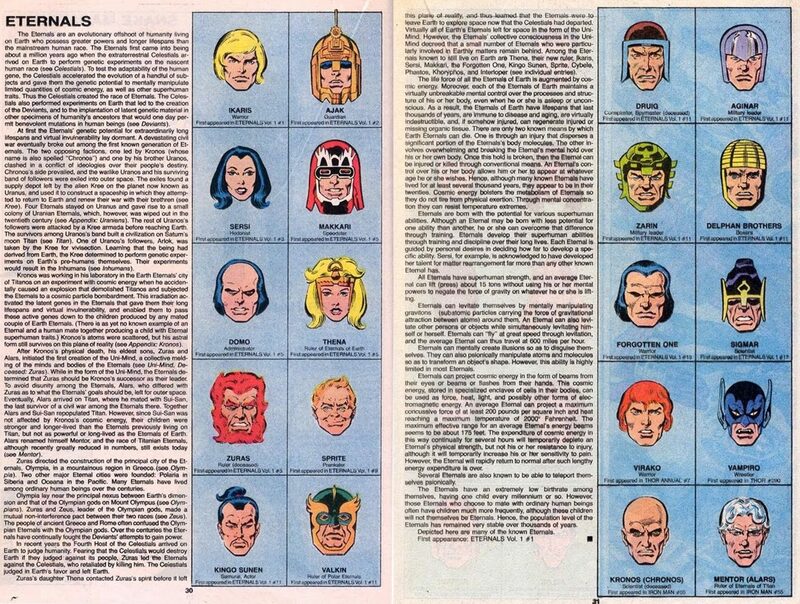 …reveals that the Eternals were a lie! 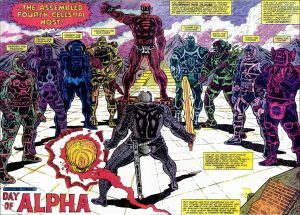 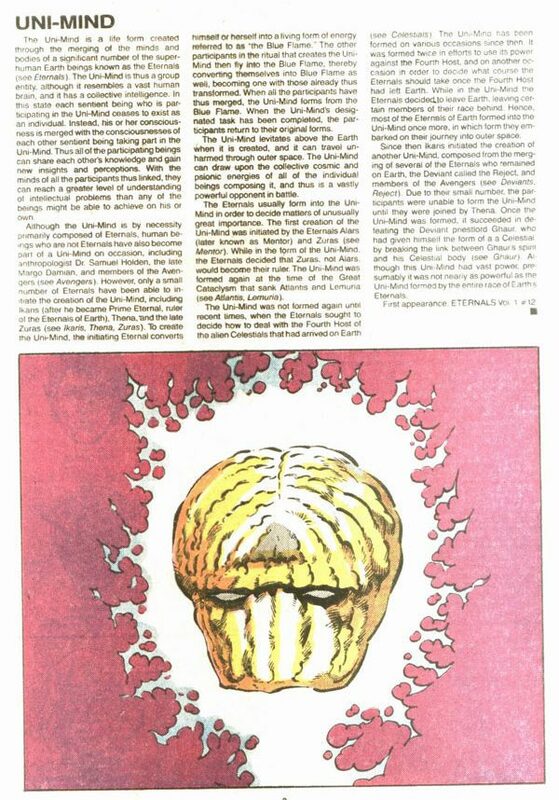 The Eternals were not created to protect humans, but not cultivate them as their DNA is a useful pathogen of some sort. 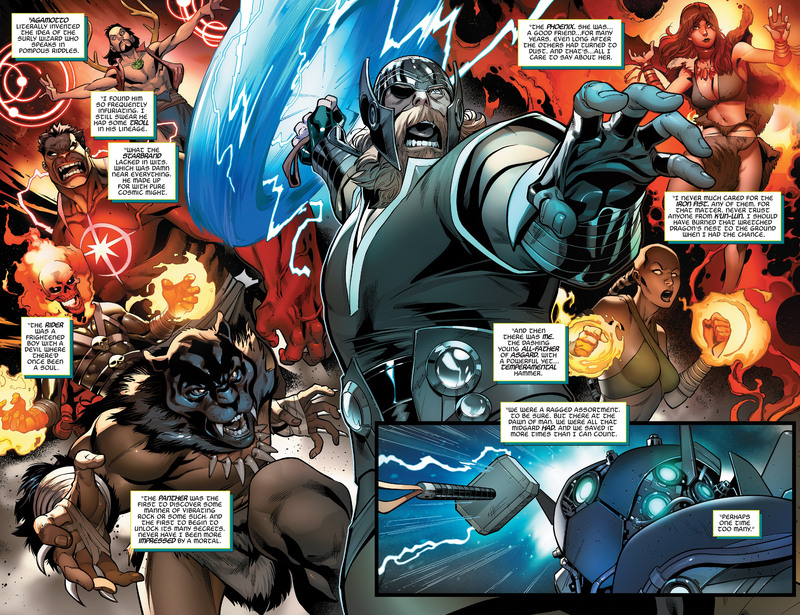 Ikaris believes only the Unimind can stop the Dark Celestials threat. 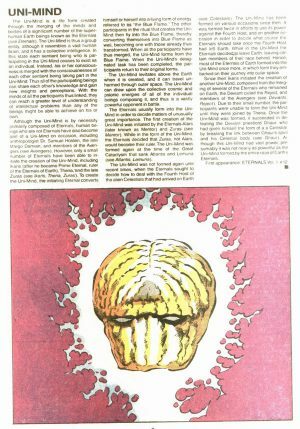 What is the Unimind, well, the Uni-Mind is something we’ve seen before; a creature created when the Eternals literally put their heads together. 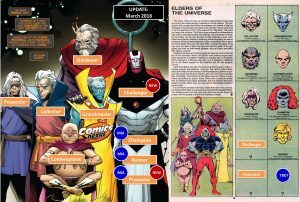 Now, this a new Marvel Continuity and reality after Secret Wars the Unimind could be something different in the modern era, but it is still tied to the Eternals. 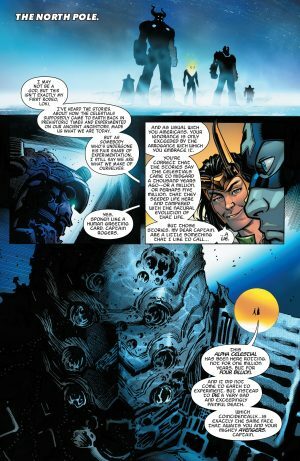 In modern day, Loki has allied himself with teh Dark Celestials and has taken Captain America prisoner; he’s also showed Cap the corpse of the First Host (dark) Celestial that the Avengers 1,000,000 BC killed and buried that has drawn the ire of the rest of these beings. Loki then tells Captain America that the Final Host is here to destroy Earth and humanity. 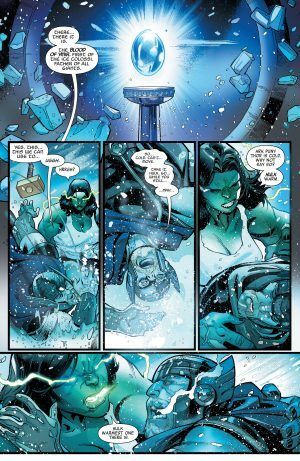 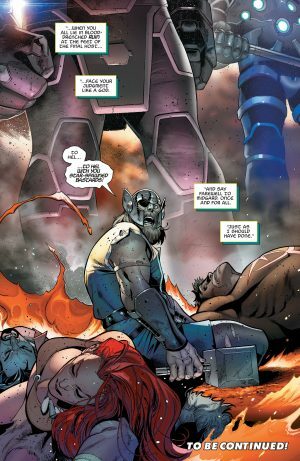 At the same time, Thor and Hulk (She-Hulk) work to retrieve an artifact called the Blood of Ymir which Thor thinks can help the Avengers against the Dark Celestials, but Odin thinks is pointless since he was part of the Avengers 1,000,000 BC that faced and lost to these beings before. 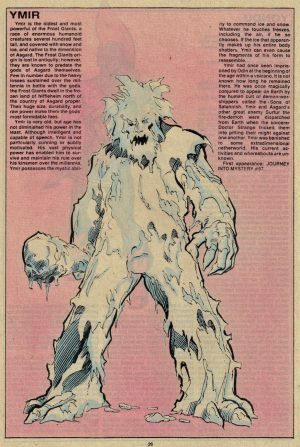 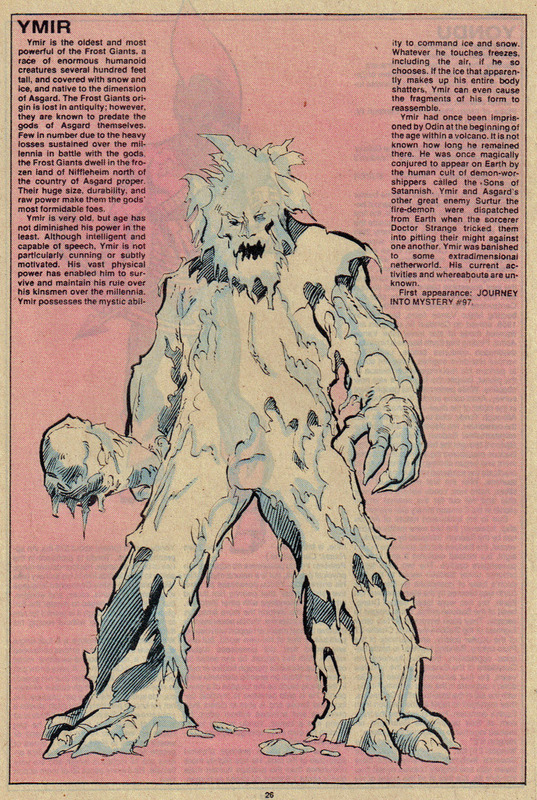 If your curious, Ymir refers to the oldest and most powerful of Marvel’s Frost Giants. …leaving a young Odin to mourn his teammates? 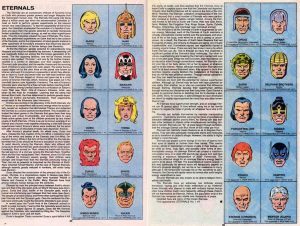 It should be noted when the Celestials debuted in the Silver Age, they were part of a storyline involving Thor and the Fourth Host. 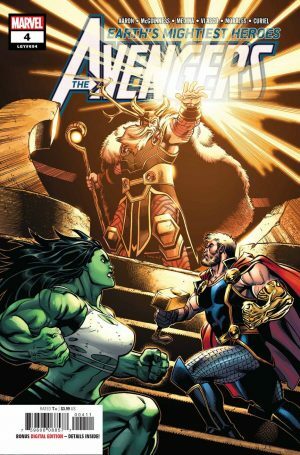 …out on July 18, 2018.